Not huge but perfectly adequtate for a few people. 2 of us stayed and it was great. Location is 2mins from the slopes at La Daille. Supermarket just below the block has all the essentials. We stayed at the apartment in La Daille (Val D'Isere) for one week. The appartment itself is small but sufficient for three to four people. Overall, the appartment is well maintained and nicely furnished. The owner Frederic was highly responsive and a very nice contact. We really enjoyed staying here and would recommend to book this place, which is directly (= 2 minutes walking to the lift station) located in the amazing ski area of Espace Killy. I have spent a nice holidays in val d'Isere. The apartment is well situated and everything was ok. The apartment is very comfortable and it is possible to return skiing. You can see the slopes through the window.Opposite there is the cable car(telecabine)of la daille,and the funival is near too and you have also a chairlift. Besides there are shops,supermarket and bakery without leaving the building. About the car there are two posibilities to park: in a car park paying 76e per week or leaving the car outsite in the private street of the building for free. Also there is a bus stop that takes you to the city centre in 50metres walking. The owner is very gentle. Appartement fonctionnel, très propre. Très bien orienté. Rien à redire. Nous y retournerons avec plaisir. 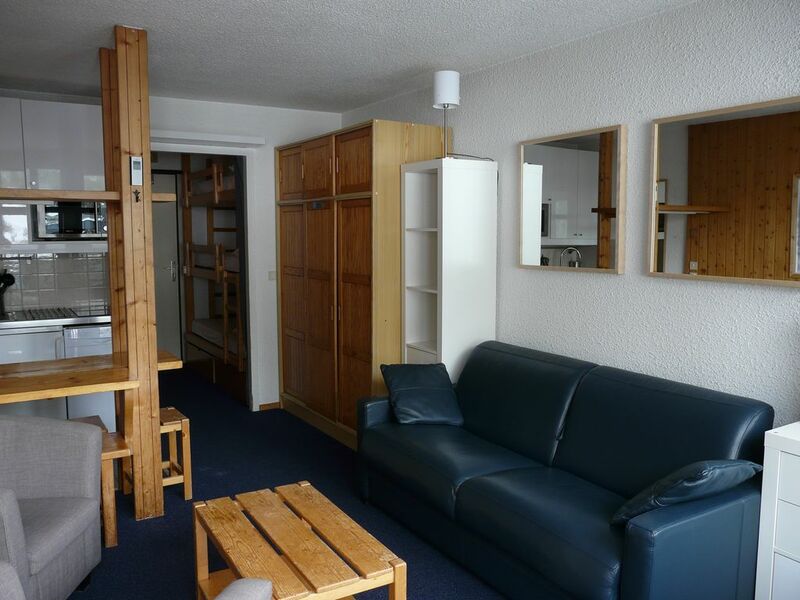 toujours agréable de séjourner dans cet appartement fonctionnel, propre avec accès direct aux pistes de la Daille. Notre séjour s'est excessivement bien passé. L'appartement est très fonctionnel et très bien situé. Il a tout le confort nécessaire et la vue sur les montagnes est splendide. Le contact avec le propriétaire à été de très grande qualité et nous avons même eu la chance de le croiser à notre arrivée. À tout point de vue parfait et à réitérer si nous décidons de retourner à Val d'Isere.